1. A road map designed pertaining to an individual’s choice of career. 2. Focused vision towards career goal. 3. 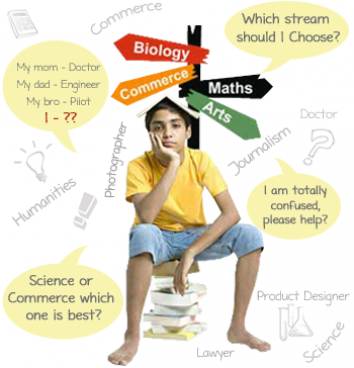 Visualization Exercises which helps a student to think about the right career. 4. Awareness of different careers streams. 5. Realization of the importance of career planning at the right time. MIND India, Institute of Positive Mental Health & Research, is a registered society formed on January 20, 2006, by a group of professionals dedicated to the cause of ushering in the benefits of positive mental health & wellbeing to the general population at a national level. The group has been working relentlessly since its inception to meet its objectives especially in the North East region of India, comprising of the States of Arunachal Pradesh, Assam, Manipur, Meghalaya, Mizoram, Nagaland, Tripura and Sikkim. It has been proved beyond doubt that there exist a strong connection between mind and body and the psycho-somatic effects that are reflected on the body thereof. Thus it is important to look at an individual holistically keeping his/her physical, social and mental well being in mind so that he/she becomes a contributing individual of the society. MIND India has therefore adopted a plan of action primarily focused on addressing individual issues through Counselling and other Well-being related techniques thereby bringing social change. The thrust is to address issues right at the grass root level and thereafter build capacity for resolution of the same. The need of the hour is trained manpower equipped with research backed inputs so as to enable introduction of appropriate intervention practices for healing and personal growth which will in turn enhance personal effectiveness. MIND India is a training institution and has been working mostly with the general population, NGOs, corporate and educational institutions specifically in the area of enhancing personal effectiveness through counselling and mental health interventions at the individual as well as at group level. Modify mindset, remove barriers, generate participation, stimulate action and facilitate change with regard to social, mental, intellectual, psychological and spiritual well being of people. Cater to mental and intellectual needs development through information sharing, research in mental and intellectual areas, educative campaigns, counselling intervention and rehabilitation through sustained interaction for people in adversity. Take up research projects to promote and fulfill mental, social and intellectual needs for holistic development of people. Collaborate with any governmental and non–governmental organizations or other agencies or groups or individuals , domestic as well as international, working in similar fields to promote positive mental health to bring about qualitative change in the lives of people. Take up production of edutainment programmes using the press and electronic media for awareness campaigns, counselling intervention and rehabilitation programmes. Formulate and implement means and modes for reaching out to people in adversity.